This book conducts a close analysis of research data and results related to the Chinese writer during the period from 1918, when Lu Xun made his literary debut with A Madman’s Diary, to 1950, when the establishment of communist China and the outbreak of the Korean War virtually severed relations between the two countries. Based on the analysis, this book discusses in detail how Korean writers and intellectuals such as Oh Sang-soon, Ryu Su-in, Yang Baek-hwa, Jeong Rae-dong, Kim Tae-jun, Shin Eon-jun, Yi Yuk-sa, Kim Gwang-ju and Yi Myeong-seon, who were based in both Korea and China at that time, became aware of Lu Xun and his literary works, and how this literary contact exerted an ideological influence over them. Moreover, this book describes the in-depth research on exchanges among intellectuals of Korea and China, which revolved around Lu Xun and his literature in the modern era, and the literary aspects of the two countries by exploring their translations of Lu Xun’s works, and various articles on the writer in the newspapers and magazines of the time. This book carries academically significant implications in that it reviews in detail a wide range of materials including newspapers and magazines of the time, and empirically reveals little-known facts about Lu Xun. For instance, after comparing and analyzing writings by Yi Myeong-seon and Yi No-bu, the author discovered shared elements in various aspects including content and style, proving that the two authors with the surname Yi were the same person. The author reveals, for the first time, that Yi Myeong-seon introduced contemporary Chinese literature under the penname Yi No-bu or No-bu, during period when the Japanese colonial government sought to control the thoughts of the Korean people. 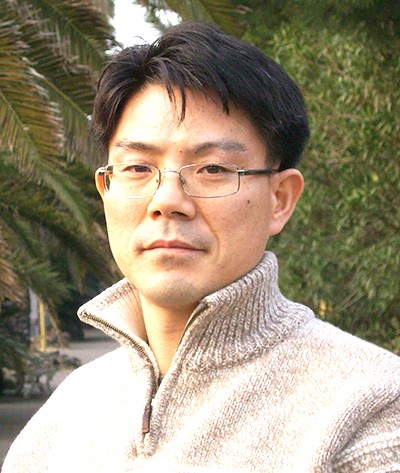 In addition, the author verifies that, although it has previously been known that Yang Baek-hwa, a translator of Chinese literature in the modern era, translated The True Story of Ah Q based on Lu Xun’s original text, it was in fact Yang who retranslated the Japanese edition originally translated by Inoue Kobai. The author thoroughly compares Yang’s translation with Japanese and Chinese materials, and confirms that Yang maintained minimal integrity as a translator at least, by complementing his translation with reference to the Chinese original text, even though his translation was based on the Japanese version. 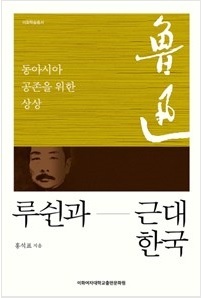 Along with these academic arguments, this book carries significance as it describes the political and social situation in Korea during the period of Japanese colonization as well as intellectuals’ anguish over reality, perception of the troubled times, and independence movements in a society where thought and culture were placed under strict control. This book consists of three parts and nine chapters, followed by an appendix. Part I discusses Oh Sang-soon, Yi Wu-gwan and Ryu Su-in, who began to introduce Lu Xun and his literature to Korea, with a focus on the 1920s. Chapter 1 explains that poet Oh Sang-soon, who lived in Beijing, China, participated in the Beijing International Language Association and forged a close ideological relationship with Lu Xun and Vasilli Yakovlevich Eroshenko, who resided at Lu Xun’s home. This chapter also examines Yi Wu-gwan, an anarchist and independence activist who remained in China after graduating from Peking University, his role in the establishment of the Beijing International Language College, his subsequent interactions with Lu Xun, and the endeavor of young intellectuals of Korea, China and Japan to form a common front for national liberation through the anarchist movement. Chapter 2 focuses on Ryu Su-in, an anarchist literary theorist based in China who translated one of Lu Xun’s masterpieces, A Madman’s Diary, as the first foreigner in the world to do so, and empirically observes his encounter with the great Chinese author. In addition, it closely explores the fact that he sought to form an ideological solidarity with Lu Xun based on their shared literary stance against the school of revolutionary literature, which argued that all art is propaganda. Part II details the literary careers of five Korean writers—Yang Baek-hwa, Kim Tea-jun, Jeong Rae-dong, Shin Eon-jun, and Yi Yuk-sa—during the 1930s when the nation saw a significant influx of modern Chinese literature including Lu Xun’s. Chapter 3 looks into the literary activity of Yang Baek-hwa, who translated Lu Xun’s masterpiece True Story of Ah Q alongside other Chinese novels and plays, and brought news from Chinese literary circles to Korea. It also reveals that his translated version of True Story of Ah Q was a double translation from the Japanese version by Inoue Kobai. Chapter 4 delves into Lu Xun and His Work, a critical essay by Jeong Rae-dong that is recognized as one of the most organized and full-scale critiques of Lu Xun. It also traces the ideological genealogy of literary criticism on Lu Xun in modern Korea, by analyzing the critical differences between Jeong Rae-dong who inclined toward anarchism and Kim Tae-jun whose work was based on a class-oriented view of history. Chapter 5 illuminates the fact that Lu Xun was interested in Korea and its literature, using an article titled Visit to the Chinese Great Writer, Lu Xun by Shin Eon-jun, who was then a Shanghai correspondent for the Korean daily Dong-A Ilbo, and notes that Shin intended to emphasize the Chinese author’s image as a proletariat writer. It also empirically proves that the location in which the reporter met Lu Xun was the Chinese writer’s secret library, where he was in hiding from arrest by the Chinese Kuomintang. Chapter 6 explains that it was after meeting with Lu Xun that Yi Yuk-sa devoted himself to writing poetry as means of social activism, which reinforced his literary ideology as a result. Moreover, it discloses that both Lu Xun and Yi depict strong-minded, forward-looking characters and the spirit of unflinching self-sacrifice, demonstrating that Yi’s literary spirit was akin to that of Lu Xun. Chapter 7 explores the process in which Kim Gwang-ju translated Lu Xun’s novels and introduced modern Chinese literature to Korea. It also provides details on the notion of literary anarchism, which underpinned Kim’s literary activities and its correlation with Chinese literary criticism. Furthermore, it observes the origin and significance of his continuation of the literary spirit of Lu Xun, and closely studies his translated version of Collection of Lu Xun’s Short Stories and its literary significance. Chapter 8 focuses on Yi Myeong-seon, who was a modern Chinese literature major from Keijo Imperial University and became one of the most active critics of Lu Xun during the period of 1945 to 1948, during which Korea gained independence from the Japanese colonial rule but continued to suffer from social chaos. It highlights that Yi became interested in Lu Xun as a result of ideological and academic influences from his college seniors, including Choe Chang-gyu and Kim Tae-jun, and traces their ideological genealogy. Chapter 9 explains that Yi Myeong-seon was active in embracing Lu Xun’s idea of popular literature as a facet of national revolution, in which he emphasized the creative freedom of writers in resistance to the literary trend of conformity toward national defense, and that Yi sought to use the concept as a possible direction for Korea’s new literary movement. In addition, it observes that Yi placed great importance on the spirit of combative criticism as the essence of Lu Xun’s literature, and emphasized the significance of Lu Xun’s’ miscellaneous essays, which best embody his essence. It also analyzes Yi’s completion of Selected Collection of Lu Xun’s Miscellaneous Essays. Lastly, the appendix of this book contains six critical writings on Lu Xun by Korean writers, which were originally published in newspapers and literary magazines of modern Korea. These include Lu Xun and His Work by Jeong Rae-dong, which presented outright criticism of the author’s literature and ideology, and Yi Yuk-sa’s Memorial Writing for Lu Xun, in which he mourned the death of the Chinese writer and gave details on his literature and ideology.